I grew up in the sixties. It made an indelible imprint on my already strange sensitivities. 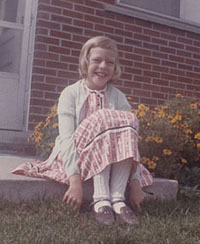 I was a preacher's kid whose spirit was ignited by the songs blaring from the radio, Nancy Drew mysteries, and going to the movies. 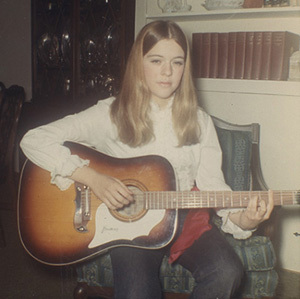 I got my first guitar in ‘65. A year later no one could get me out of my room. I was shut up in there learning all the songs from The Monkees' first album. 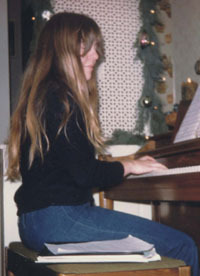 My piano lessons suffered greatly by this, but I later managed to teach myself to play pop piano by imitating the styles of Joni Mitchell, John Lennon and Neil Young. 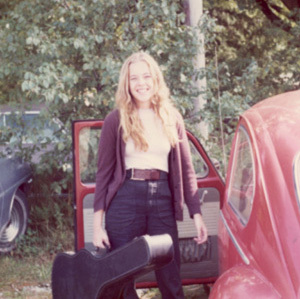 By the time I was sixteen I had become a favorite brew around Columbus, Ohio's coffee house circuit, playing my guitar and singing for packed rooms. At the famed downtown Cracked Cup Coffee House there was a piano. 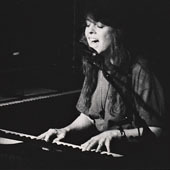 I would occasionally break my set to go over and play some of my original compositions, or Joni songs from "Ladies of the Canyon." 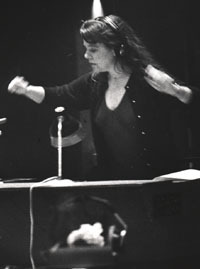 Later I pursued a Bachelor of Music in Theory & Composition at Ohio State University. 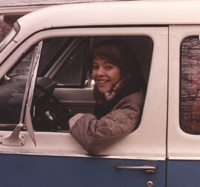 One quarter shy of graduating I opted for life on the road as a rock-n-roll musician. 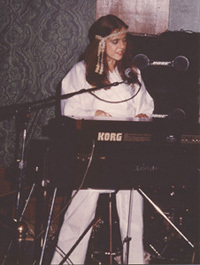 The following six years I toured as a multi-keyboardist and vocalist, mainly with Dayton's legendary Blue Max rock band, and a Nashville-based show-rock group called Little Rock. After six years of gigging in 26 states and Canada, I loaded my music gear and everything I owned into my van, and drove myself and my dreams to California with only two hundred dollars in my back pocket. It was February 1983. Against my grandmother's insistence and my better judgment, I took the shorter northern route through Flagstaff, where subsequently I experienced the worst snowstorm of my road career. I crested the highest hill just as it dropped anchor. A snow blanket plopped onto my windshield. My wipers moaned under the weight of it. My loaded-down van slid near the edge of steep overhangs again and again, while 18-wheelers bullied me as they charged by at 25 miles-per-hour. I gripped the steering wheel trying to stop my own death. The longest two hours of my life eventually came to an end, and I descended to the desert stretched out ahead of me dry and boundless. I wavered in that first warm breath of Arizona sunshine. I stopped at the first gas station to buy a pack of smokes, despite quitting the year before. My frozen piano fingers could barely uncurl enough to hold the cigarette as I headed for the California coast. I landed first in Santa Barbara. My first California band was an all-girl band. However, we did not survive our first rehearsal because a battalion of Santa Barbara S.W.A.T. guys crashed our set up. 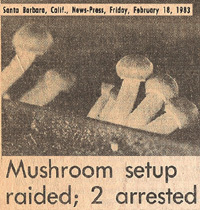 As it turned out, it was the biggest drug bust in Santa Barbara's history, and the girl musicians had no idea of the $150,000 worth of hallucinogenic mushrooms at all stages of growth in the man's garage, the one who had offered his spacious house for our rehearsal. 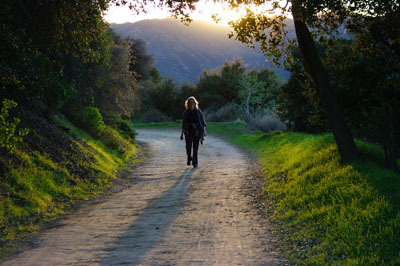 In Los Angeles I gained a foothold in the industry by gigging, showcasing, and studio work. 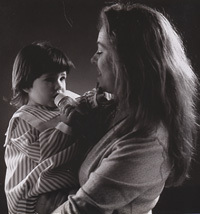 I married the drummer in my first L.A. band, and gave birth to my daughter Terra in 1987. While still in the throes of early motherhood, I won a Dodger Blue singing contest, and sang the Star Spangled Banner at Dodger Stadium. My marriage ended in '89, and a new faction of my life began. I continued to write and perform original songs, with performances at "March for the Animals" in Washington, D.C., Jerry Brown presidential campaign rallies, songwriter showcase clubs, and Whole Life Expos. 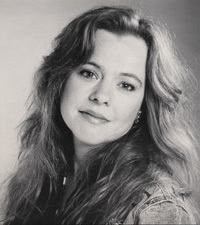 I wrote and recorded the official theme song for Boeing's Space Program (Promise of Tomorrow), and was the featured guest performer on a FOX Television pilot. The song I performed that day I wrote following several visits to a Northridge movie house to watch "Dances With Wolves." The movie had a profound impact on me. During one viewing of the film, I smuggled a stopwatch and metronome into the theatre, to time Kevin Costner's dance around the fire, then later wrote an instrumental prelude based on that 70-second scene. The prelude would later introduce my new song White Buffalo. This was a new kind of songwriting for me, and marked an expansion into story writing. Though I went on to complete a 2-year Certificate in Film Scoring at UCLA, I was also working on my first screenplay based on White Buffalo's lyric narrative.